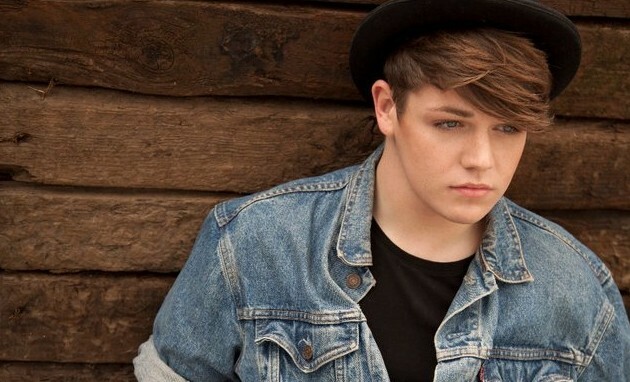 COOL: Johnny Robinson to win the X Factor | Everything is cool. As we bade farewell to John Wilding last night [oy vey], we couldn’t help but grip hold of both chair-arms and let out a massive sigh of relief. What was WRONG with him for goulash’s sake? Smiling never gave anyone carpel tunnel syndrome. At the risk of sounding mean, he did have a nice-ish voice but… how uncool is it to spend a MILLION pounds on cosmetic surgery before you even get to the live stages? Bloody. Which is why we adore Londoner, Johnny Robinson, 45, who spent sweet bugger all on his audition outfit but won our hearts with refreshing honesty, raw talent and a Carry On sense of humour to-boot. 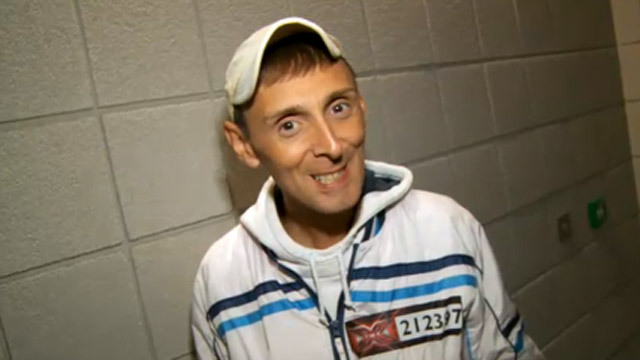 We think Johnny from Harrow is hands down, the best person in the whole wide world [make that universe] to grace the X Factor… ever. And he’s through to the live stages! Hoooooray! – disco lights – lots of dancing – swinging from chandeliers – massive applause – scream – sigh. Johnny told his sob story by ACCIDENT – he’s that honest. In his VT, he said: ‘I live in a bedsit. Oh, I can’t say I live in a bedsit, it sounds so scummy! I’ll say I live in a studio.’ ~ nice try Johnny, but cat’s out the bag. And, hey, it’s great material for a film. We love you. He’s as thin as a rake and we think – amid various theories – that’s probably down to starvation. The X Factor team will give Johnny a lush bedroom and loads of fine food to fatten him up. There’s room for a Kelly-Rowland-doesn’t-eat joke here but we like her too much to do it. Johnny says hello [ he-loooOOO? ], please, thank you and ooOOooh like, all the time! How great is that?! He jokes about being ugly. WHO JOKES ABOUT BEING UGLY ON THE X FACTOR? Johnny Robinson. He’s got the voice of a sweet angel floating in the sky, sitting atop a balloon that’s full of happy helium on top of something even more beautiful like… the O2 arena. Despite living in abject poverty for god knows how many years, Johnny Robinson doesn’t sob to the cameras like the rest of the hopefuls. In fact, he’s so contented researchers have had no choice but to carry out clockwork orange style methods on his tear ducts so they secrete water. [we don’t like the idea of this. ]… Dear The X Factor, we think it’s high time we told you. Tears don’t win votes. That’s why Rebecca Ferguson didn’t win. BUT JOHNNY CAN. JOHNNY TO WIN!